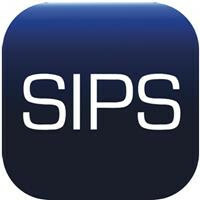 Joseph T Simone is the founder and a partner of SIPS, a firm focused mainly on the protection of IP rights in Greater China, including the People’s Republic of China (PRC), the Hong Kong Special Administrative Region and the Taiwan region. Mr Simone has advised companies on the protection of their IP rights in Greater China since the mid-1980s. 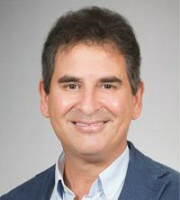 He is also a UDRP arbitrator handling domain name disputes under WIPO. Mr Simone frequently publishes on IP topics in China and contributes regularly to position papers on legislative reforms issued by trade groups and professional associations. Most recently, Mr Simone’s work has focused on online infringements of IP rights and bad-faith registration of trademarks in the PRC. He is currently the chair of the Bad Faith Trademark Registration Task Force of INTA. He is also working with stakeholders towards the creation of a pilot programme for the use of accelerated arbitration of IP disputes occurring on online trade platforms. In the late 1990s, Mr Simone was involved in the creation of the Quality Brands Protection Committee (QBPC) and the Global Leaders Alliance Against Counterfeiting (now merged into the Business Action to Stop Counterfeiting and Piracy). He served as vice chair of the QBPC for several years and remains active in its various committees. Before establishing SIPS, Mr Simone was a partner with Baker & McKenzie in China from 2000 to 2012 and was an associate with the firm from 1988 to 1992. From 1992 to 2000, he was a partner with Johnson Stokes & Master (now Mayer Brown). Mr Simone is fluent in Mandarin Chinese and Italian.